Whilst you shouldn't underestimate how difficult the hiking can be (especially for the hiking novice such as me ! 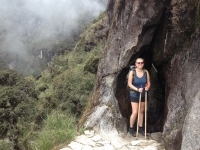 ), the support and help of the tour guides, porters and the rest of the walkers makes it an unforgettable experience that is well worth the effort - the first view of Machu Picchu makes everything better ! Lluvia, viento, sonrisas, esfuerzo, sol, selva y recompensa. El Inca Trail es una experiencia única en la que se aprende sobre uno mismo y a disfrutar de la compañía de los amigos. En general el viaje a estado muy bien organizado y ha sido una de las mejores experiencias que he vivido durante mis vacaciones. Durante el viaje las explicaciones y consejos de nuestro guía han sido de gran ayuda. The scenery was stunning. And actually day 2 is not that bad ! Although I would definitely recommend a porter. Machu Picchu is surreal. And definitely worth the early morning wake up. Be prepared for the horrible toilets and I would advise baby wipes and a shower on day 2 even with the cold water. 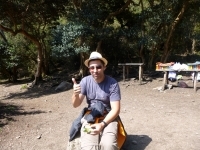 The trek was excellent, Victor was great guy I would recommend your services to my friends and relatives. 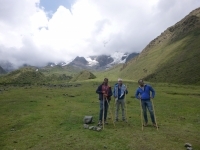 My one suggestion would be to offer the same trek completely in six or seven days to give more time to acclimatize to the altitude, other than that I was very happy with everything. Das Beste vorab: rückblickend war es ein sensationelles Erlebnis! Am Anfang weiss man nicht so genau was einem erwartet, insbesonders wie die Gruppe zusammengesetzt ist. Wir hatten Glück und durften viele neue tolle Bekanntschaften schliessen. Victor, unser Guide, stellte sicher, dass die Stimmung stets stimmte. Was soll ich dazu sagen Best Team Ever, Exzellente, we are Family. Etwas anstrengenderes hab ich noch nie erlebt. Trotzdem war es eine tolle Zeit mit einer tollen Gruppe. Sie war bunt gemischt und aufgestellt. Wir haben tolle Freundschaften geschlossen und vieles erlebt. I enjoyed very much, excellent service, I will come back in spirit. Muchas gracias. Hiking rules. I will do it again someday. I enjoyed the cake and the beer in South America, is cool. Zip lining is very cool to do, lots to do and great sights all around the city. When I told a friend about my upcoming trip to Peru he advised me to skip the more touristic Inca Trail and to opt for the Salkantay trail instead. He couldn't have been more right. 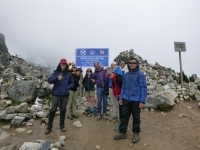 During five days our group of 9 people was spoiled with majestic views, rough nature and real trekking. This journey was amazing, I had a great time Señor Victor was host to us all. Muchas gracias. The cooks were terrific too . I enjoyed every moment as every new corner turned there was something different to do. What a great 4 days ! Víctor was very helpful and funny... Yes, "excelente amigos" ! Diverse group from everywhere - the family. Good memories, short breath, grilling the disco chickens at the party, 4600 m high - lets do it again ! 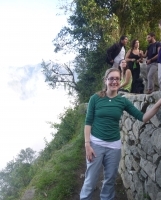 Can't wait for Machu Picchu tomorrow - "chocatela" ! Wow. 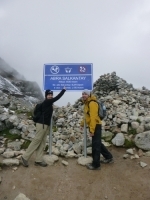 What an amazing time this was hiking the Salkantay trail. Victor was a great guide and had so much patience with all the different paces and personalities of our group. The food was delicious and plentiful. Even with all the workout of hiking for hours, I fear I gained a few pounds. Thoroughly enjoyed. A truly amazing experience. Highly recommend this tour to anyone. 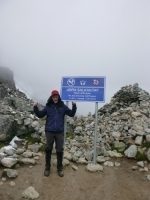 I had an awesome Inca Trail ! 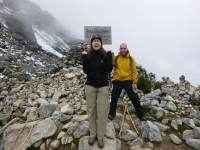 4 days of challenging stairs up and down, as well as "Inca flat" (secret: it's not flat). But it is way more than worth it !